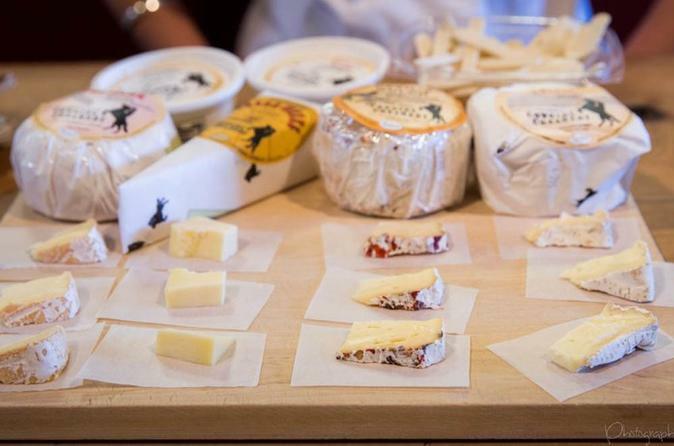 Taste your way through the scenic dairy lands of Point Reyes! Visit three award-winning creameries and sample local artisan cheeses, right where they are made. Walk around the farms and spend time with the sheep, goats and cows. A cheese lover's dream! Your morning starts at Tomales Bay Foods in Point Reyes Station in Marin, where you’ll meet your guide and enjoy some fresh cheese-filled pastries from the Bovine Bakery. Your local foodie guide is a certified chef and will teach you the culinary history of Marin, plus all the ins and outs of cheese making in this Northern California region, which is famous for its award-winning artisanal cheeses. Next, hop in the van and visit two other local cheese farms. You'll meet the cheese makers, take behind-the-scenes tours of the facilities, and sample creamy goat cheese, nutty sheep cheese and robust blue cheese. You'll also learn how your favorite cheeses are crafted and aged. On the farms, wander around with the farmers and pet the sheep, goats and cows. You are guaranteed to fall in love the the little babies! Soak up the glorious scenery and savor the farm-fresh flavors of Marin with a gourmet picnic lunch right on the farm (see Itinerary for a sample menu). Your 5-hour tour concludes back at Tomales Bay Foods in the afternoon.